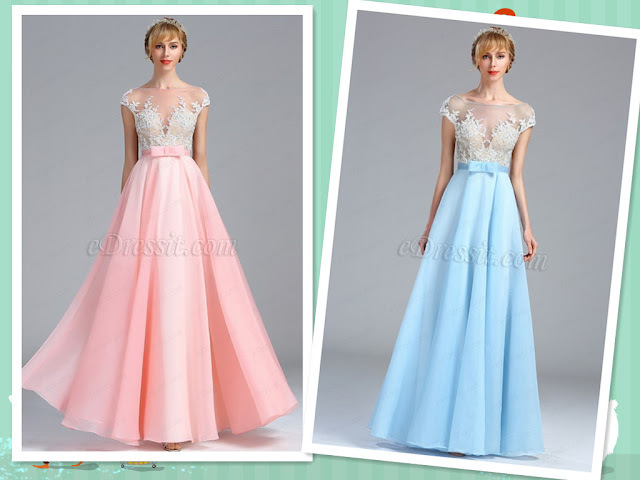 There're several newest prom dresses with one style two colors. Which one do you fave? 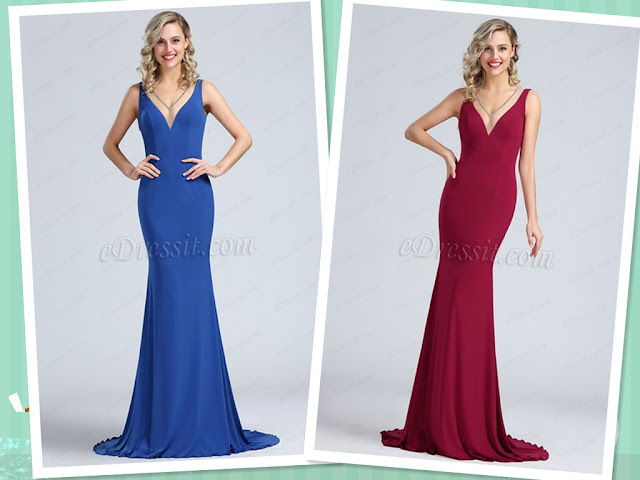 The dresses are crafted with an illsuion sweetheart neckline, from where the metallic chain stretch to the open back for a flash of skin, while the floor-skimming mermaid skirt dials up the drama with every step. Classic femininity is given a modern spin in such dresses. They feature two pieces- a mikado outer garment and chiffon velvet skirt, and are embroidered with lace appliques to flatter the bodice, and turns to reveal a fit-and-flare silhouette complete with ruched skirt. Tease out the uplifting hues with a coordinating bag. 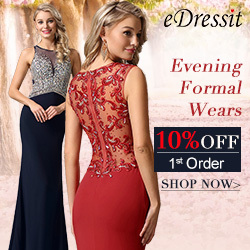 A contemporary take on elegance, eDressit's flowy dress is a head-turning evening piece. It's crafted with off shoulder neckline that reveals subtle hints of skin, and trimmed at the beaded bodice with gathered lace flowers that are bound to demand attention with every gesture. It's detailed with scatterings of sparkling beads and delicate lace appliques across the bodice and cap sleeves, while the bowtie waistbelt and fluttering skirt lend the sophisticated silhouette a final dose of drama. Elevate the ladylike hem with high stiletto heels for your evening event. It's cut to an a-line princess look that hits a little above the ground, and highlighted with astunning embroidered flowers and beads that cleverly draws the eye to your bodice. The ruched skirt complete it in a ladylaike mood.